Bring together your loved ones on the most special day of your life, and celebrate at our Elmhurst wedding venue! 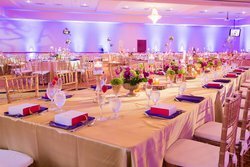 The Waterford boasts over 12,000 square feet of indoor event space, with the versatility to customize it perfectly for your dream day. Snap the perfect photo op at the venue’s 20,000 square feet of courtyard space, capturing all the special moments amidst a picturesque backdrop by Eldridge Park! 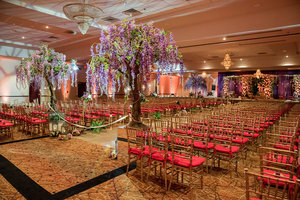 Whether you’re envisioning an intimate reception or large celebration, the team at our wedding venue in Elmhurst, IL is excited to help make your special day run smoothly. 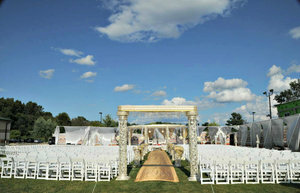 Fill out our Weddings RFP to start planning today! Our dedicated event consultants and experienced catering staff will work with you to ensure that every little detail is taken care of. From the décor, all the way to coordinating overnight accommodations, we take care of all the planning so you can focus on what matters most – making unforgettable memories with your loved ones. Keep the whole wedding party together before and after the celebrations – book a group room block with us! 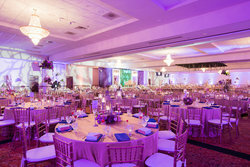 Imagine cocktails on the outdoor terrace, a grand celebration in the ballroom, and a list of preferred vendors for all the additional services that you have to check off your list. Host the perfect outdoor wedding reception in our expansive courtyard space! 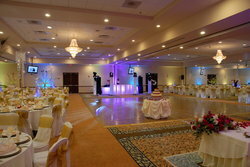 Weddings are Waterford’s passion and specialty, and we’re dedicated to going above and beyond to make your special day unique. Choose from a variety of wedding packages available at our Elmhurst wedding venue, and let us customize it perfectly for your needs. Browse a sampling of the services we provide, and get in touch with us to start planning your wedding today! The bride and groom can enjoy overnight accommodations with us, complete with complimentary wine and roses. Learn more about our Honeymoon Suite! 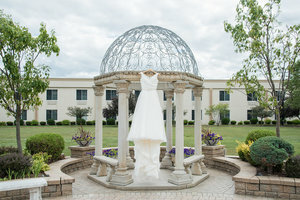 Host your special day with us and discover why The Waterford is the premier Elmhurst wedding venue in the Chicago area.